And not just because guys with hip hats, like in the picture, use it to brush up on artisan tattoo dyes. It's a subscription-based (free) catalog of course material on all kinds of topics related to art, science, business and dozens of others. 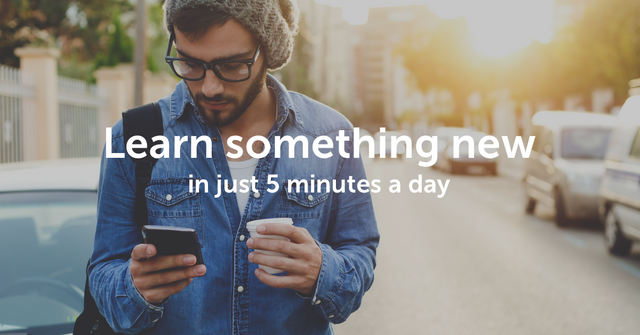 Each course is spread out over five-minute installments for commute friendly reads, with plenty of access to additional content when a subject really captures your imagination. I just finished a course on the psychology of persuasion - not practicing on you here, I promise - and it was really first-rate. Ask me anything 'elaboration' theory for example. No, actually take the course. And no - I have don't have a stake in this! It's just too good not to share.